The Small Space that I wanted to utilize the garden for only receives an average of two and half hours of sunlight per day. It was therefore very important that I planted vegetables that would survive under the said conditions. I knew very well that vegetables don't grow well in the shade.I knew that I would get the best results from a garden that gets light. I learned some very important life lessons as I was preparing my piece of land for the coming season. I equate the sunlight to knowledge and wisdom. Every human cell and every form of life on Earth works in harmony with the sun. The sun is a source of food and life. The Sun also created seasons and times of day, which provides rhythm to nourishment and reproduction. No human being can ever be successful in ignorance. We all need light to survive. We need knowledge and understanding. Proverbs Chapter 4 verse 7 says Wisdom is the principal thing; therefore get wisdom: and with all thy getting get understanding. It is very important to dig the ground to break up the soils and in the process kill any possible weeds that may grow in the future. 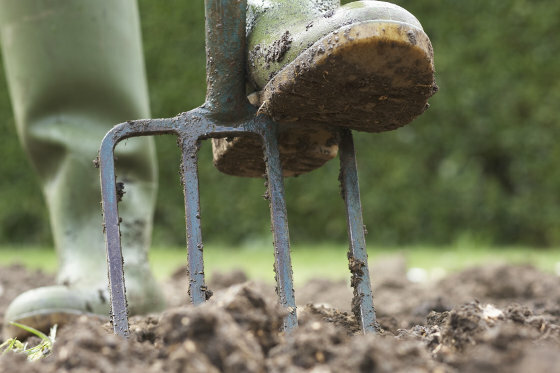 Digging will enable one to remove any bits of weed root or stem to permanently stop them from growing. I liken digging the soil to unraveling all the areas of life habits, traits and personality. Always review yourself and regularly dig areas of your life. I call this reset and rejuvenation. Find yourself someone to mentor you and to break up the old you. Soil texture is an important element in gardening. It is necessary to apply compost to improve output and productivity.Manure should be applied moderately as an addition to any garden. Improve yourself on a continuous basis. Read books. Surround yourself with people who nourish you with goodness. Throw out negative minded people out of your life. My garden is teaching me to be a better person by day. And by the way it is not only the garden that can teach you. Look around you and find something to teach you lessons.